In a previous post titled "Museums, We Have a Diversity Problem," we took the liberty of paraphrasing an iconic phrase uttered during the Apollo 13 mission. Now we'd like to extend the reference even further. As you may recall from the film Apollo 13, starring Tom Hanks, engineers had no choice but to remedy the problem using duct tape, tube socks, and making a square peg fit a round hole. It worked, and the astronauts made it home safely. So what's the proper strategy for solving museums' diversity problem? And what role will foundations play in this effort? While people of colour represent 38% of the country’s population, they make up only 9% of museum boards and 16% of the administrators, curators, conservators and educators who make decisions about what is exhibited and preserved as culturally important. These hard numbers show just how little the offices and boardrooms of US cultural institutions reflect rapidly shifting demographics. Low-level jobs like security and facility-related ones are pretty evenly split across ethnic lines, but curators, conservators, and those working in publication and registrar are over 80 percent non-Hispanic white. Non-Hispanic whites constitute 84 percent of these positions, while Asians represent 6 percent, Blacks 4 percent, and Hispanics 3 percent. Mellon is among those foundations seeking to remedy these disparities. As previously reported, Mellon recently rolled out a new fellowship to diversify the curatorial field in five U.S. cities. The KeyBank Foundation, meanwhile, announced a $400,000 grant to the Toledo Museum of Art in Ohio for the establishment of the KeyBank Fellowship Endowment Fund, which will support the creation of a KeyBank Fellowship for minority candidates interested in museum leadership careers. In March, Mellon launched a pilot program with Hunter College to expose students from under-represented groups to careers in New York City arts organizations. A top executive at the Walton-backed Crystal Bridges Museum of American Art received board endorsement to revise his title to executive director and chief diversity and inclusion officer, signalling that these are institutional values "for which he takes responsibility." The museum has also set hiring targets based not on the demographics of today, but of the early 2020s. The Walters Art Museum in Baltimore announced a new initiative last week to hire diverse-owned investment firms to manage a portion of its $116 million endowment. As you can see, each of these initiatives tackles the diversity challenge from a different angle. Mellon's takes a "get them while they're young," student-oriented approach. 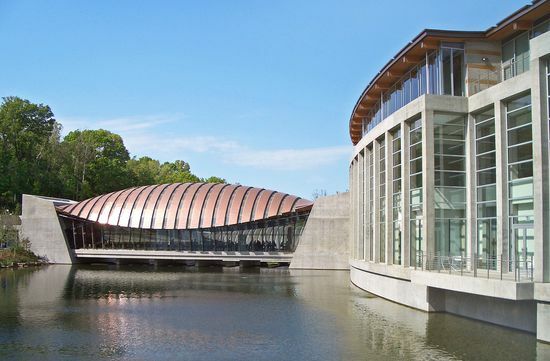 Crystal Bridges' move focuses on corporate governance. The Walters Art Museum's initiative centers on long-term financial management. And therein lies the problem. Given the scope and complexity of the diversity challenge across equally complex organizations, there isn't much consensus on the best approach forward, according to the Art Newspaper. Some, like, New York-based development officer Nicole Reiner, argue that more attention should be paid to smaller, more diverse organizations whose very survival is at stake. "To simply plunk 'diverse' candidates into white organizations does not promote equity—it promotes tokenism," she said. Then there's the idea floated by Tom Finkelpearl, the commissioner of New York's cultural affairs department, who suggests museums adopt the National Football League's Rooney Rule, which requires a diverse candidate pool to interview for every senior position. Bottom line? In the absence of a magic bullet, museums need to determine which approach best suits their needs, and the extent to which such an approach will find approval from funders. After all, while the Art Newspaper piece, titled "Pressure Mounts for U.S. Museums to Increase Diversity at the Top," doesn't explicitly say who, exactly, is exerting said pressure on museums, it's safe to say that funders like Mellon and Ford, who have been "paying attention to what it means for curators to be able to rise up through the ranks," consider boosting diversity to be a huge priority.